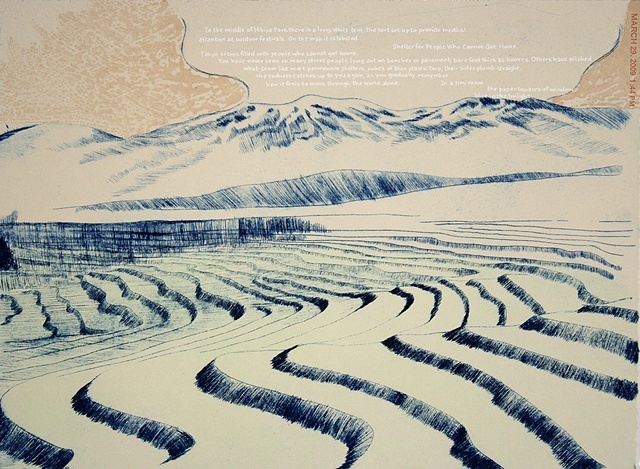 This is a series of twenty intaglio plates printed with gouache monotype printed on a Takach etching press, over which I printed silkscreen, then hand-set type on a Vandercook letterpress. 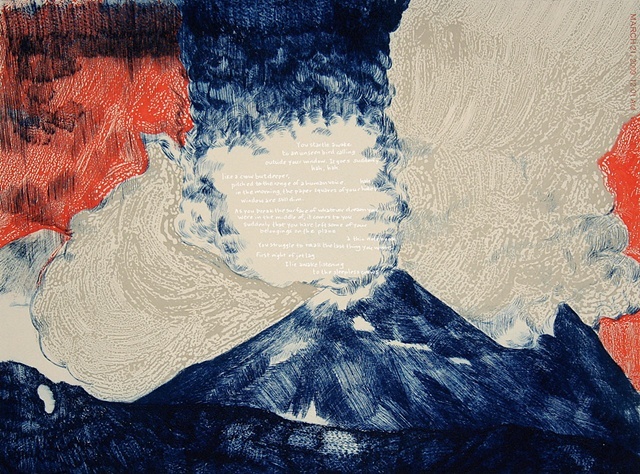 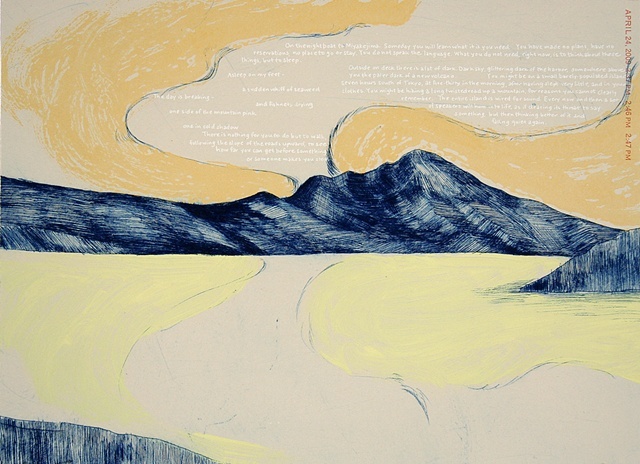 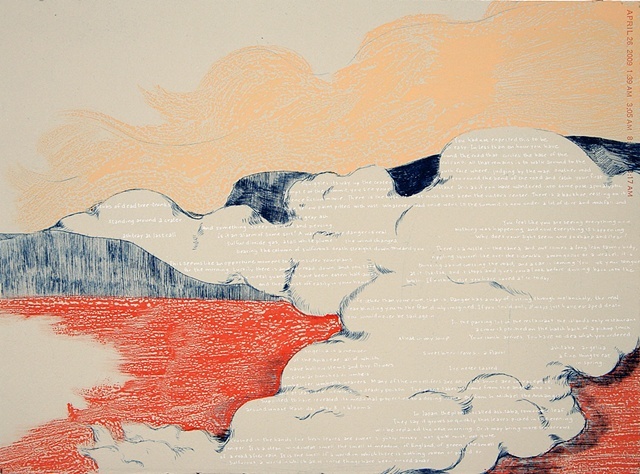 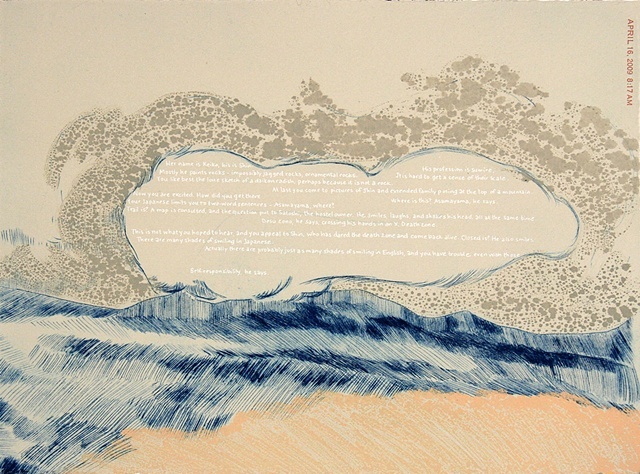 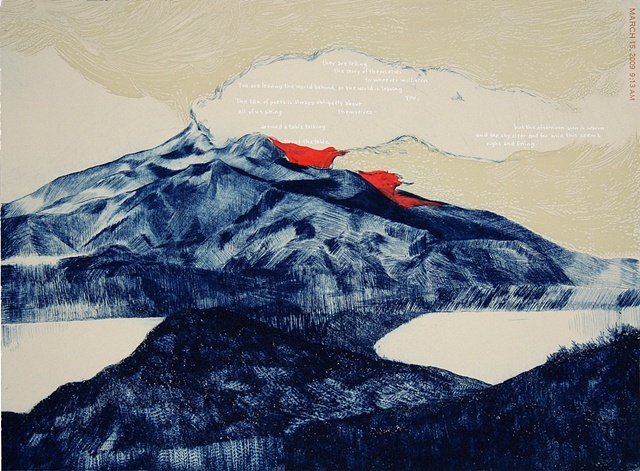 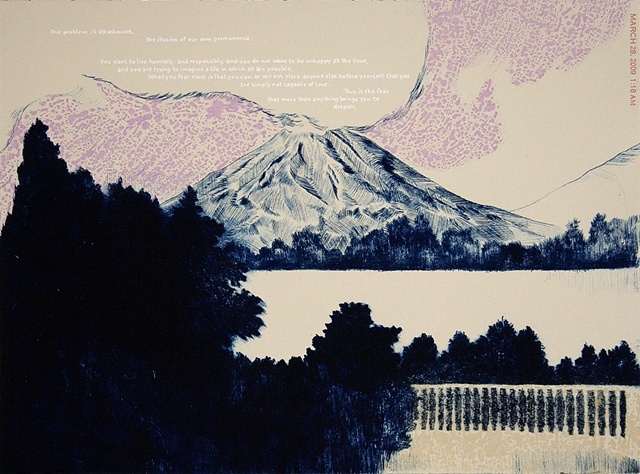 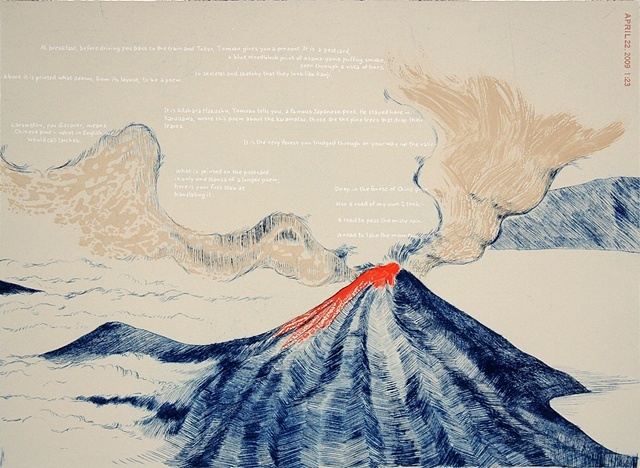 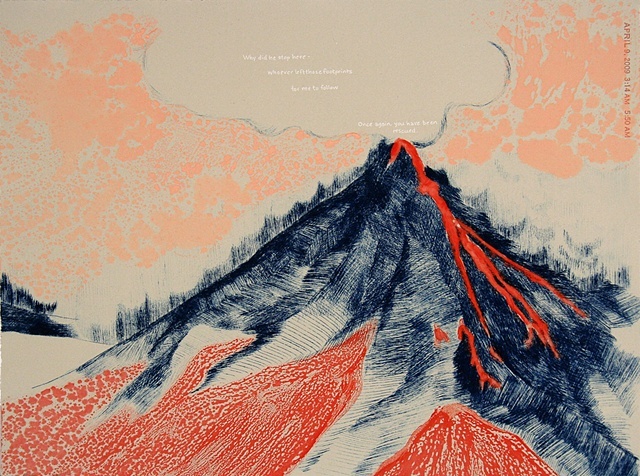 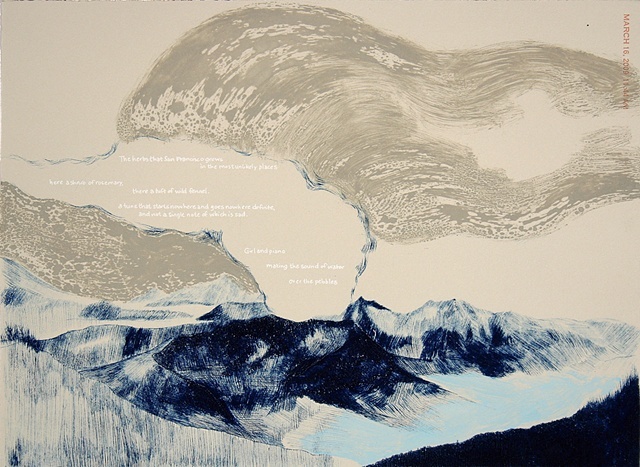 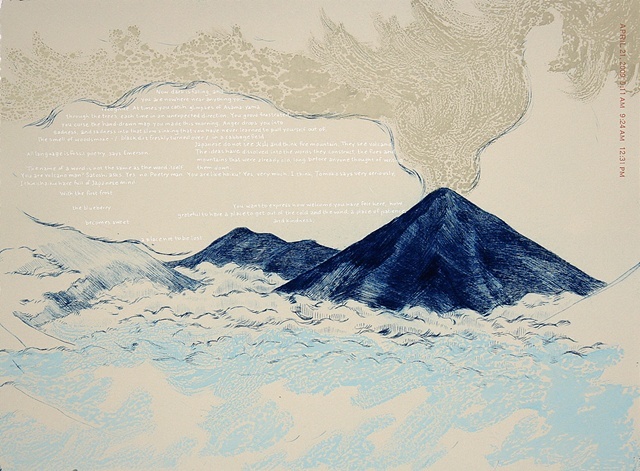 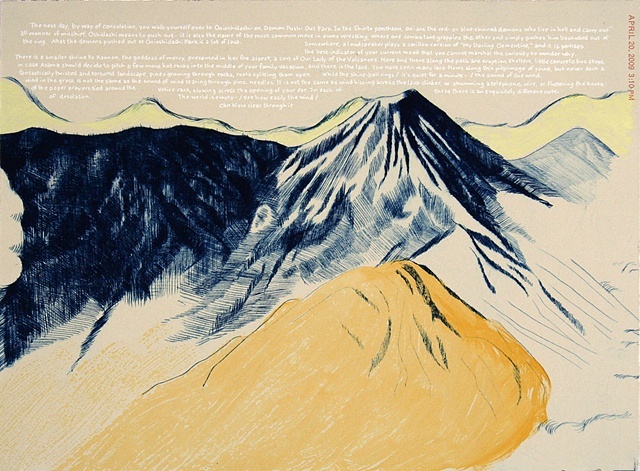 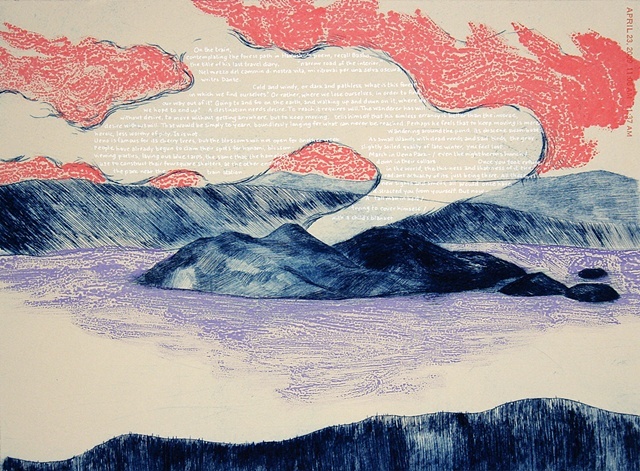 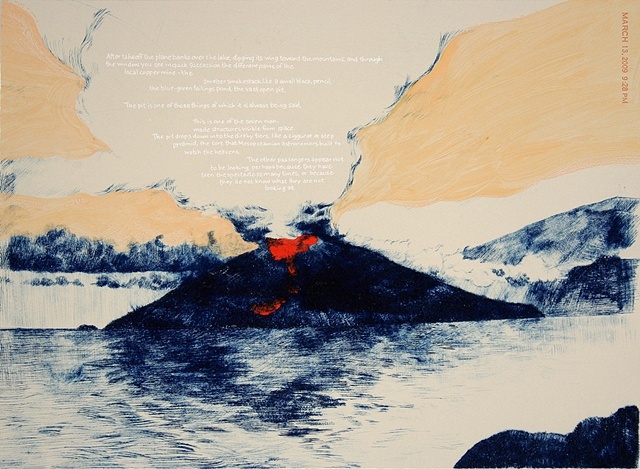 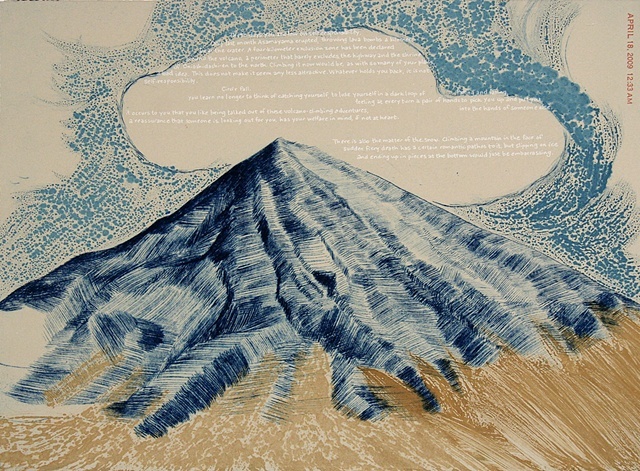 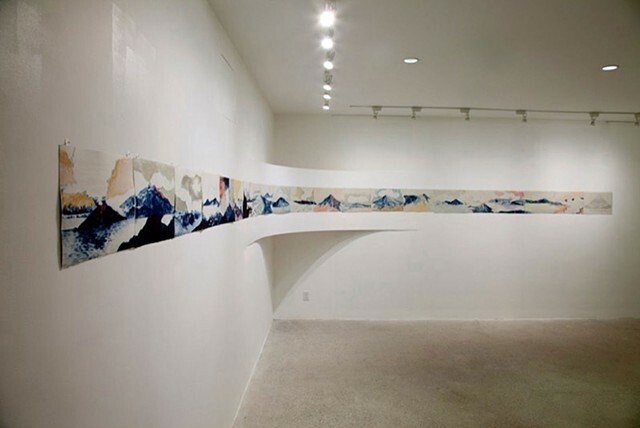 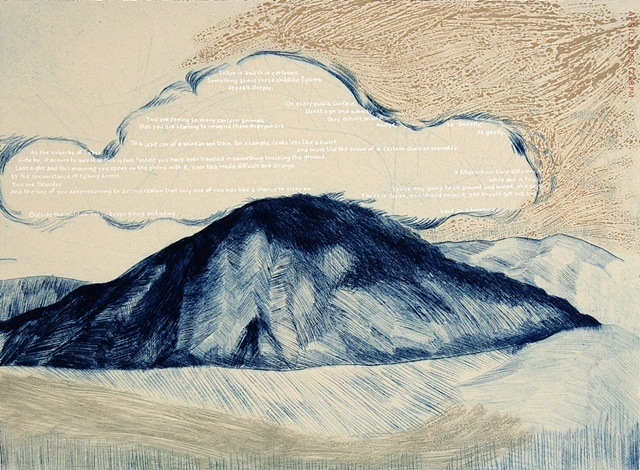 These images of active volcanoes located in Italy, Peru, Colombia, Nicaragua, Guatemala, Mexico, and Japan are paired with fragments of text culled from the travel blog of the late poet Craig Arnold in the days leading up to his death in April of 2009 in Japan, while hiking volcanoes and conducting research for his next book of poetry. 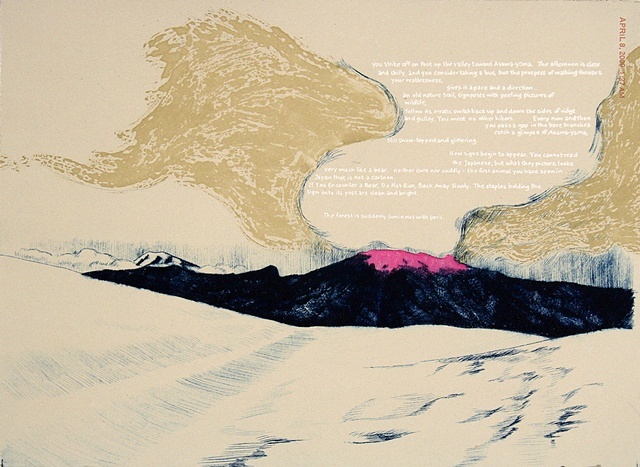 The twenty prints in this series chronicle the twenty days on which he wrote during his Japan expedition. 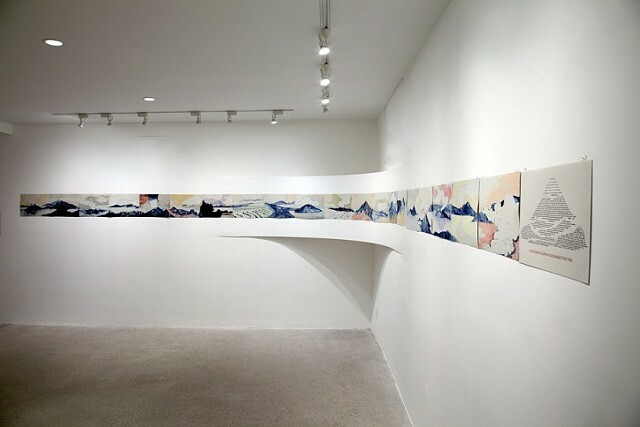 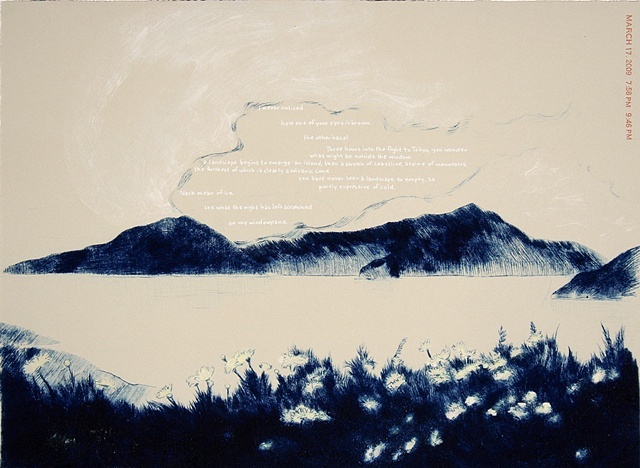 This project was conceived of during my residency at the Vermont Studio Center in July 2010, and executed while I was an Artist-in-Residence at St. Louis's All Along Press for the month of September, and was made possible with the generous support of the Santo Foundation. 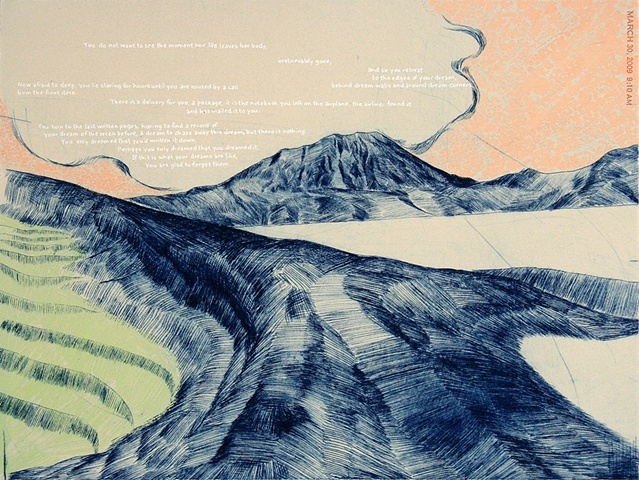 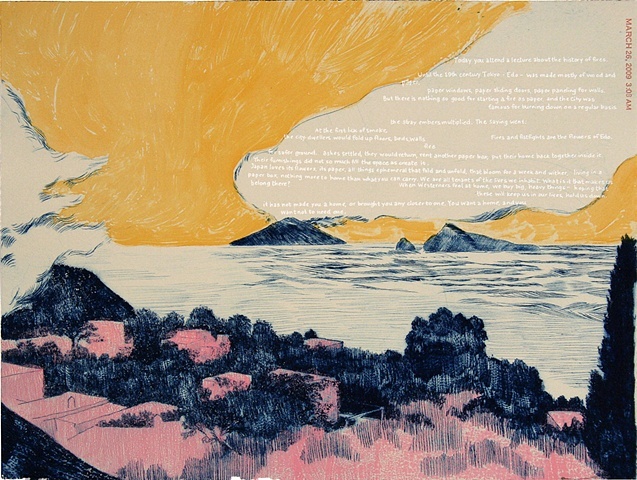 The prints in this series are compiled in a hand-made portfolio box with a letterpress colophon.